Caloplaca polycarpa. My experience of this species is when it is parasitic, as here on Verrucaria species, in this case Verrucaria baldensis. According to the Flora, it is more frequent on hard limestone being non lichenicolous. In that case, it has thick thallus. This photograph was taken on hard limestone at Portland. 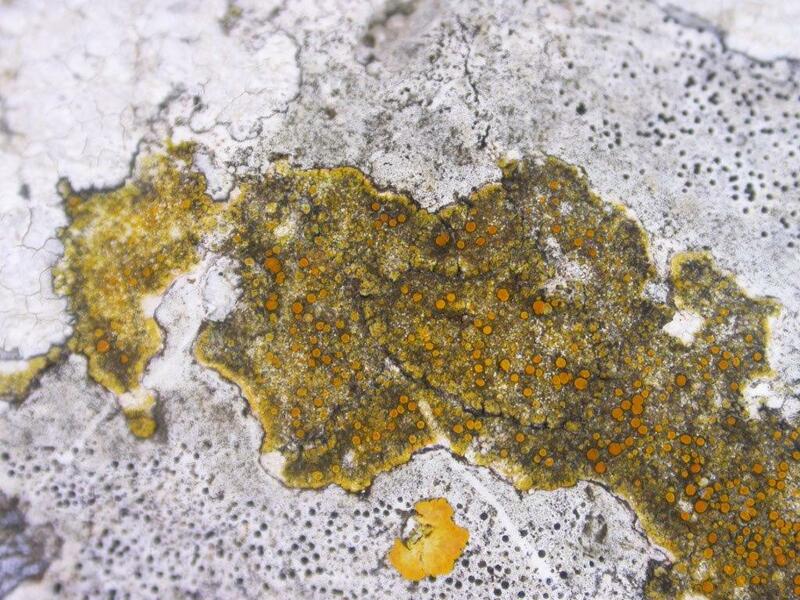 Non lichenicolous specimens are said to be widespread on hard limestone, while parasitic examples are rare.